This Policy describes the types of information we may collect from you or that you may provide when you visit or use TrainingLegends.com or its affiliates' websites (collectively, the "Website") and our practices for collecting, using, maintaining, protecting, and disclosing that information. You can use the Website without having an account. You can visit the Website, read articles and other materials, browse merchandise, and check on offerings without giving us any personally identifiable information. Certain other activities on the Website, such as signing up to receive e-mail updates from Training Legends LLC and our affiliates and partners, do not require you to register for an account, but may require that you provide certain personal information such as your name and/or e-mail address. Other activities, such as purchasing products or posting comments or product reviews, require you to register for a user account. To register, you must create a user account, which requires you to provide your e-mail address and select a password. The password you select is used in an effort to protect your account from unauthorized access. Whether or not you register, in order to provide users and subscribers with the most efficient and enhanced personalized service and attention, we may request information about you in certain circumstances and collect certain information automatically. For the convenience of all of our customers and to better serve you, we create and maintain a customer account that includes all the collected personal information we may have with respect to an individual. You can update or correct your contact information or change your preferences about receiving offers and information from us at any time. In this Policy, "Personal Information" means any information by which you can be identified or contacted, such as your name (first and last), mailing address, e-mail address, telephone number, billing information, etc. In e-mail, text, and other electronic messages (including interaction through social media) between you and us or the Website. When you participate in our events. BY USING THIS WEBSITE AND/OR SUBMITTING INFORMATION TO THIS WEBSITE YOU ARE AGREEING TO THE TERMS OF THIS POLICY AND FURTHER AGREE AND CONSENT TO THE USE, DISCLOSURE AND TRANSFER OF YOUR PERSONAL INFORMATION IN ACCORDANCE WITH THIS POLICY. This Policy may change from time to time. We will endeavor to post policy updates when changes are made. Your continued use of this Website after we make changes is deemed to be acceptance of those changes, so please check the Policy periodically for updates. Access and use of the Website from outside the United States is governed by the laws and regulations of the State of Georgia and United States. Any applicable information that you provide to us via registration, subscription or placing orders through the Website, will be stored in the United States. By visiting the Website and submitting information, you authorize and agree to the use and processing of your information in the United States in accordance with laws and regulations of the State of Georgia and United States. We collect personal information that you provide to us. This information may be shared with our designated tournament management provider strictly for the use of and in connection with tournament scheduling and participating in Training Legends LLC tournaments or other tournaments managed or operated by Training Legends LLC. For example, we may collect information when you create an account, create a profile, use the interactive areas and features on our site, make a purchase, sign up for events, and when you e-mail, call, or otherwise communicate with us. The types of personal information we collect include, for example, name, postal address, phone number, e-mail address, account information (e.g., credit card and online registration information), and other information that you choose to provide. If you publish a review on the Website or share content, preferences, interests, or experiences with us online or through social media, we may collect those opinions, preferences and interests. The name you provide is displayed to other users when you post a comment or product review via the Website. Remember that any comments, product reviews or other information you post is publicly available. Any comments, product reviews or other information that you post or submit to the Website may be redistributed through the Internet and other media channels, and may be viewed by the general public. We receive certain types of information automatically whenever you use our services or sites. For example, when your Web browser accesses our site, we obtain certain types of information, such as your IP address, the type of browser you use, access times, and the page you visited before visiting our site. We may also collect information about your computer's operating system and information about your usage and activity on our site. When you visit the Website, we may send one or more cookies. A cookie is a small text file containing a string of alphanumeric characters to your computer that uniquely identifies your browser and lets us enhance your navigation through the Website. A cookie does not collect personal information about you. We use both session cookies and persistent cookies. A persistent cookie remains on your hard drive after you close your browser. Persistent cookies may be used by your browser on subsequent visits to the Website. Persistent cookies can be removed by following your web browser's directions. A session cookie is temporary and disappears after you close your browser. You can reset your web browser to refuse all cookies or to indicate when a cookie is being sent. Please note that some features of the Website or services may not function properly if the ability to accept cookies is disabled. We may also collect information using Web beacons. Web beacons are electronic images that may be used on our site or in our emails. We may use web beacons to deliver cookies, count visits, understand usage and campaign effectiveness, and to tell if an e-mail has been opened or acted upon. This information is collected anonymously. No personal information from your account is collected using these web beacons. We collect the personal information we need to provide products, services and information to our customers and the community and for our business operations generally. If you choose not to provide certain personal information to us, we may not be able to provide you with the products, services or information you require. Please keep in mind that if you directly disclose personally identifiable information or personally sensitive data through Training Legends LLC or public message boards, this information may be collected and used by others. Training Legends LLC does not read any of your private online communications. To provide to you the best possible products and functionality of the Website and its contents. To process your order and contact you regarding of any processing status updates and/or issues. To respond to your comments, questions or complaints and determine your satisfaction with our products and services. To notify you about changes to the Website or any products or services we offer or provide though the Website. To send you marketing communications and other information and materials you have chosen to receive regarding our products, services, or marketing. To provide you with the latest promotional material and other information that may be useful to you. We may share other, non-personal information (such as the number of daily visitors to a particular web page, or the size of an order placed on a certain date) with third parties such as advertising partners. This information does not directly personally identify you or any user. By posting information to our Website, you agree that we may post or publish anything you post on our sites when you submit comments, stories, photos, blog postings and videos in connection with our sites or if others send us anything about your activities or postings. There are several ways for you to update your contact information and/or change your preferences. If you have a user account on the Website, you may be able to log on and update or change your contact or account information. Marietta, GA 30068, Attn: Privacy Officer. You may also contact us via e-mail at: Legends@TrainingLegends.com. In the event that personal information is compromised as a result of a breach of security, the Company will promptly notify those persons whose personal information has been compromised, in accordance with the notification procedures set forth in this Policy, or as otherwise required by applicable law. Training Legends LLC does not condone or distribute unsolicited e-mail on its behalf. All promotional and informational (online newsletters) e-mail communication to our customer database is done strictly on an opt-in basis. Recipients may opt-out of future mailings at any time. You may request deletion of your account by sending an e-mail to: Legends@traininglegends.com. The Website may include features or material that may be appealing to children under the age of 13. We do not knowingly collect personal information online from children under 13, nor do we knowingly distribute such information. We do not knowingly allow children under the age of 13 to publicly post or otherwise distribute personal information through our sites. If we become aware that we have inadvertently received personal information from someone under the age of 13, we will delete such information from our records. We encourage all parents to talk to their children about online safety and to monitor their children's use of the Internet. We are not responsible for the practices employed by websites linked to or from the Website nor the information or content contained therein. The Company may provide links to other websites to you solely as a convenience, and the inclusion of linked sites does not imply endorsement by The Company of any of the linked sites. Please remember that when you use a link to go from the Website to another website, our Policy is no longer in effect. Your browsing and interaction on any other website, including those that have a link on the Website, is subject to that website's own rules and policies. Please read over those rules and policies before proceeding. We do not ensure the security of your personal information if you visit websites not belonging to The Company. It is our policy to provide notifications, whether such notifications are required by law or are for marketing or other business related purposes, to you via e-mail notice, written or hard copy notice, or through conspicuous posting of such notice on the Website, as determined by the discretion of The Company. We reserve the right to determine the form and means of providing notifications to you, provided that you may opt out of certain means of notification as described in this Policy. THE INFORMATION, SOFTWARE, PRODUCTS, AND SERVICES INCLUDED IN OR AVAILABLE THROUGH THE WEBSITE MAY INCLUDE INACCURACIES OR TYPOGRAPHICAL ERRORS. CHANGES ARE PERIODICALLY ADDED TO THE INFORMATION HEREIN. 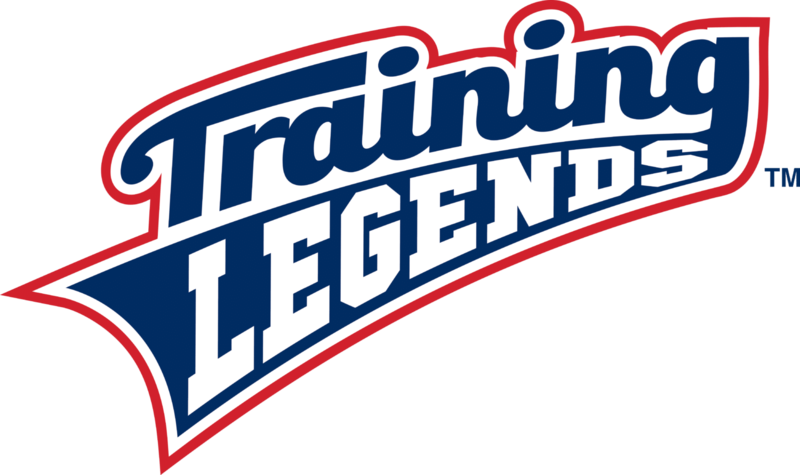 TRAINING LEGENDS, LLC AND/OR ITS PROVIDERS MAY MAKE IMPROVEMENTS AND/OR CHANGES IN THE WEBSITE AT ANY TIME. TRAINING LEGENDS, LLC AND/OR ITS PROVIDERS MAKE NO REPRESENTATIONS ABOUT THE SUITABILITY, RELIABILITY, AVAILABILITY, TIMELINESS, AND ACCURACY OF THE INFORMATION, SOFTWARE, PRODUCTS, SERVICES AND RELATED GRAPHICS CONTAINED ON THE WEBSITE FOR ANY PURPOSE. TO THE MAXIMUM EXTENT PERMITTED BY APPLICABLE LAW, ALL SUCH INFORMATION, SOFTWARE, PRODUCTS, SERVICES AND RELATED GRAPHICS ARE PROVIDED "AS IS" WITHOUT WARRANTY OR CONDITION OF ANY KIND. TRAINING LEGENDS, LLC AND/OR ITS SUPPLIERS HEREBY DISCLAIM ALL WARRANTIES AND CONDITIONS WITH REGARD TO THIS INFORMATION, SOFTWARE, PRODUCTS, SERVICES AND RELATED GRAPHICS, INCLUDING ALL IMPLIED WARRANTIES OR CONDITIONS OF MERCHANTABILITY, FITNESS FOR A PARTICULAR PURPOSE, TITLE AND NON-INFRINGEMENT. The Company may change this Policy from time to time. If we make any changes to this Policy, we will notify you by changing the "Effective Date" date above or as required by law.